founded in 2011 as the electronic periodical. The Founder of the Journal is Novosibirsk State Pedagogical University. The Journal is addressed to the Russian and Foreing Country lecturer staff’s of universities, post-graduate students and to students who are interested in the newest results of fundamental and applied researches on actual problems. The primary aim of the Journal is illumination of problems and the publication of the articles having the education theoretical and practical importance in the following main thematic areas of the Journal. 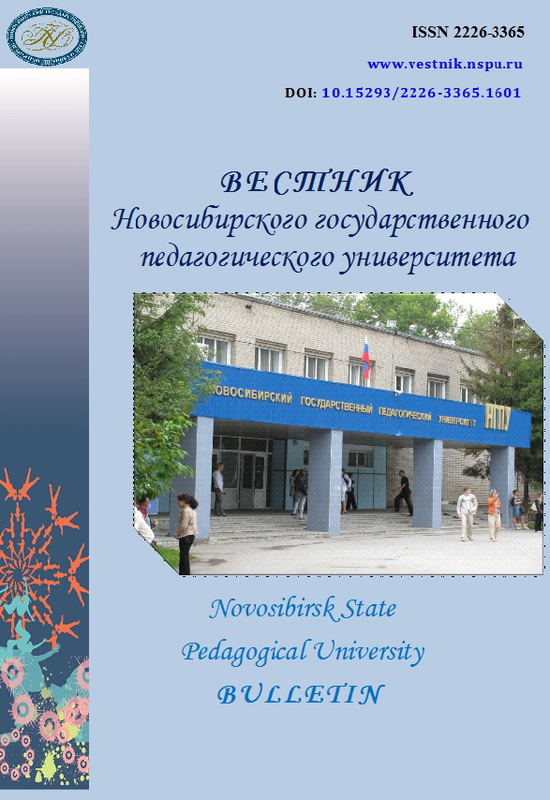 The thematic areas of the Journal reflects the Key research studies of the Research Institutions (Novosibirsk State Pedagogical University). The Subject area of the Journal is Social Sciences: Education (Scopus). The main content of the publications are Full Articles and Review Papers (perspectives). The Journal is included into International and Russian abstract databases.